Karina's Kreations: Tropical Party Swap! I made this card for the last Millet meeting. It was one of my swaps. 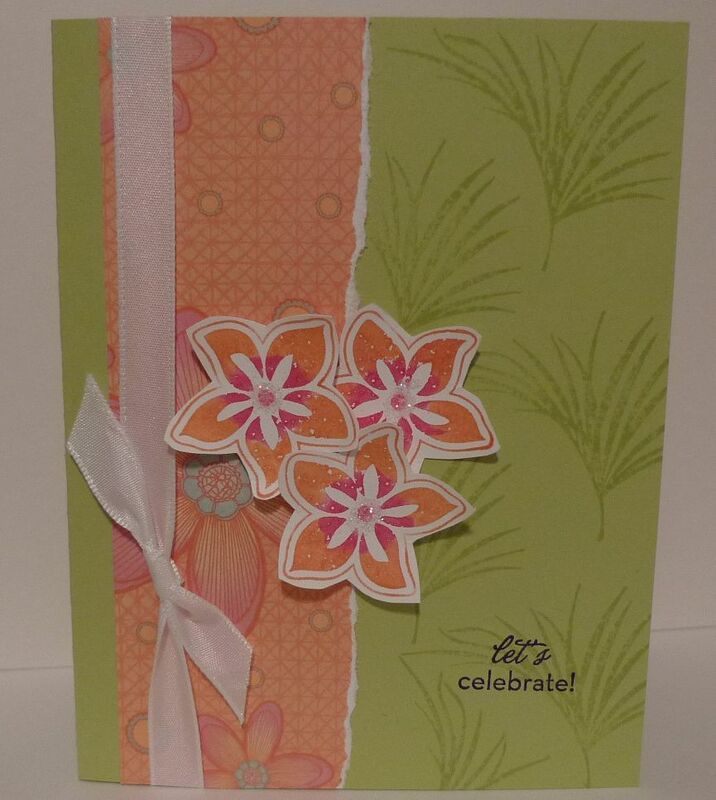 The stamp set is called Tropical Party from the Summer Mini catalog. The clear mount stamp set is only $18.95 for five images. 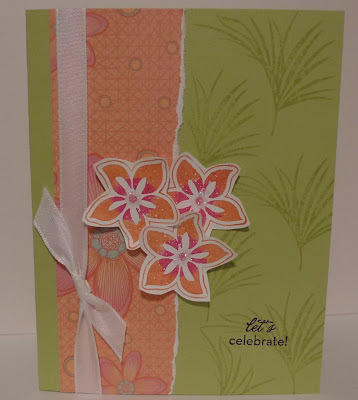 I used Stampin' Write Makers to color directly on the stamp and then stamped it on Whipser White card stock.